“It seems obvious to me that a denial of divine simplicity is tantamount to atheism” (p. 128). Oh no. I have tried to avoid thinking about divine simplicity for a good while now. Eight years ago, in response to an internet debate between Orthodox and Catholic apologists, I spent a fair amount of time trying to understand what divine simplicity means and why the Latin Church developed the notion in the way that it did. I also read David Bradshaw’s Aristotle East and West, in which he launches a trenchant attack against absolute divine simplicity in favor of the Palamite distinction between the divine essence and energies. The first thing I learned from all this reading is that divine simplicity ain’t simple. The second thing I learned is that I do not have sufficient philosophical training and acumen to grasp the critical issues and questions. At the conclusion of my study I reached this tentative conclusion: divine simplicity should not be considered a church-dividing issue between Orthodoxy and Catholicism. I then put my thoughts down in a series of blog articles dedicated to Absolute Divine Simplicity and promptly forgot everything I had read. A few years later I began reading Herbert McCabe’s writings. They propelled a personal re-assessment of my beliefs regarding the nature of God. I mentioned this intellectual turn in my recent article “How Anthropomorphic is Your G-O-D?” But I still saw no need to return to the question of divine simplicity. Earlier this year I read Andrew Radde-Gallwitz’s Basil of Caesarea, Gregory of Nyssa, and the Transformation of Divine Simplicity. This book persuaded me that no philosophical formulation of divine simplicity can be allowed to inhibit Christians from speaking of God in ways that the gospel demands. And then along comes David Hart telling me that divine simplicity is so important that its denial is nothing less than a form of atheism. That woke me up from my dogmatic slumbers. I still have little interest in doing more reading on the question; but perhaps I should. And then today I read Dale Tuggy’s critique of Thomism, in which he rejects divine simplicity. In the course of his article, he mentions an alternative position (one with which he appears to disagree) based on abstracta (whatever they are). The proposal allows the possibility that God is actually dependent on abstracta. This means that God may not be the ultimate metaphysical reality; but he still remains the “Greatest Possible Being.” As President James Dale told the American public after the Martian attack on the Capitol: “I want the people to know that they still have two out of three branches of the government working for them, and that ain’t bad.” Well, even though I’m incapable of refuting this argument (someone please remind me in the morning to do a Google search for “abstracta”), I just know it can’t be right. The God I confess and believe in is the ultimate ultimate and the absolute absolute. He is not a being, not even the “Greatest Possible Being.” He is infinite, unconditioned, transcendent Being. In the words of St Gregory the Theologian: “He is like a kind of boundless and limitless sea of being, surpassing all thought and time and nature” (Or. 38). 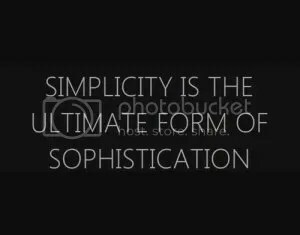 And then this evening I stumbled upon an instructive video on divine simplicity. The participants belong to the Reformed school of theology, which I normally avoid like the plague (excepting Torrance and Barth), but I suppose I’ll just have to overlook their Calvinism. If you are at all interested in the subject, I recommend it highly. The guest speaker, James Dolezal, subsequently published a book titled God without Parts. I still don’t know how to reconcile Latin and Palamite understandings of divine simplicity, and quite frankly, I don’t feel a pressing need to do so. I remain convinced, as Brian Davies puts the matter, that “from first to last the doctrine of divine simplicity is a piece of negative or apophatic theology and not a purported description of God” (Language, Meaning, and God, p. 59). That’s good enough for me. But I’m still looking over my shoulder in case atheism should sneak up behind me. This entry was posted in Philosophical Theology and tagged apophaticism, classical theism, David Hart, divine simplicity, God, James Dolezal, palamite distinction, Philosophical Theology. Bookmark the permalink. I’ve had a number of discussions on divine simplicity recently, and you are quite correct in saying that it is not a simple subject. It seems to me,however (and I’m not great student on the subject) that without the Palamite distinction, divine simplcity leads to neccessaritanism in God. The question of necessity is interesting, but just as interesting is that Westerners who assert divine simplicity, e.g., Augustine and Aquinas, do not draw the inference of necessity. Neither does Hart. Quite the contrary. They all insist that God’s decision to create was free. So is this just another scholastic debate? Whitefrozen, I suspect you are far more competent at these matters than I. All I know is that Aquinas & Company refuse to draw the inference that Orthodox critics like David Bradshaw and Perry Robinson think they logically should draw. Given that both parties affirm divine freedom and the creatio ex nihilo, the disagreement cannot be a dogmatic difference. BTW, have you seen the various postings that Michael Liccione wrote on this subject? You might check out his old blog Sacramentum Vitae. I quite agree with you that they don’t follow this conclusion all the way through – so far as I’m aware though that’s it. I’m not aware of any solution to this issue that doesn’t end in divine necessitarinism, though I’m quite open to hear one. You’re right that it doesn’t appear to be dogmatic, but I suspect it may turn out to be. I have a couple Orthodox friends who think it is, at any rate. The Hart quote I agree with, but it doesn’t seem like Hart is addressing the conclusion (logical or metaphysical) of divine simplicity. I know he’s gotten into it at length elsewhere though so I may pursue that eventually. I will definitely check out Liccione’s blog, thanks for the link. While I still think it’s the worst variety of Protestantism ever, I guess…based on the video…there is *some* truth within the reformed theological tradition. I am not familiar with abstracta, but if it is proposed that God is dependent upon them, the abstracta would be the more fundamental category of being. This would fit in with the subsequent assertion that God is the “greatest possible being.” This is the kind of univocal notion of being that Radical Orthodoxy has been decrying for quite some time now. The result of that particular metaphysics is to posit God as a Supreme Being, but the divine would still be on the same plane as other beings. It is a complete forgetting of the difference of being and Being — or in some ways of speaking, the difference between being and beyond-being. It would appear they are making the same kind of basic mistake that McCabe is good at pointing out. As a side comment, I’m pretty sure Zizioulas argues against the way certain modern Orthodox thinkers use the Palamite notion of divine energies because it obscures divine simplicity. Been a while since I looked at it, so I could be wrong on this. Brian, I don’t recall Zizioulas talking about divine simplicity except in passing. Do you recall where he brings it up? Thanks. As far as I can understand, your last series of posts (on theistic personalism, etc.) have all been a defense of simplicity–at least as I hear Hart meaning it (though I haven’t read the book)–and indeed, the doctrine of simplicity seems to be merely a rephrasing of creatio ex nihilo. There are two issues: First, if God is composed of parts, then the composition of the parts is prior to God, and uncreated by God, and so God did not create all things. Second, as far as I can tell, this is the doctrine Lewis explains when he says God is beyond personality. God is not bounded by personality. Rather, God is beyond personality. Indeed, for any X we could name, God is not bounded by X, but is beyond X. We call “being beyond all things” simplicity. The difference between the Latins and the Orthodox seems to be regarding the meaning of the denial that God is created. For the Catholics, there’s positive content (though unknowable) to the statement. Thus, for instance, Feser claims that God is being, is person, etc. but is not a being, is not a person, etc. On the other hand, the east denies positive content to the claim. God is not being, but is beyond all being–so far beyond being that He is beyond “beyond” as it were. Thus Palamas can claim that God, in His essence, is beyond all affirmation and negation. Also, regarding infinite: I’m not sure that it’s helpful to say that God is infinite anymore. Etymologically, the term means “without bound”, but, I believe, influenced by mathematics, we take “infinite” to mean “large without bound”. But something large without bound is bounded by not being small, and so is not truly infinite. One result is that there isn’t a conflict between infinity and incarnation–if God had been unable to be Incarnate, He would be bounded by that inability, and so would be finite. I think that Lewis bit is helpful. Some people tend to dismiss Lewis as a popularizer, but I think he is generally both popular and substantial. McCabe points out that Aquinas is a negative theologian. I don’t think the West is lacking there, but the East so far as I can discern emphasizes the apophatic more and perhaps understands it somewhat differently. You should look over Norris Clarke’s various neo-Thomist works and certainly Hart’s The Beauty of the Infinite. Antiquity could only understand the infinite as the undetermined. If you think as Thomists do that God’s essence is his esse and that every finite being is a limited participation in esse, it makes sense to talk about the infinite with regards to God. You may be right about this, Matthew. Rightly or wrongly, my beginning point is the creatio ex nihilo, from which I infer the radical transcendence and difference of God. Perhaps this is just one way of speaking of the divine simplicity (apophatically interpreted). Brian Davies seems to think so. As I recall, Feser thinks that Davies is too apophatic in his interpretation of Aquinas. Yes. I’m going to have to pull out my old copy of Mere Christianity and re-read what he wrote. These writings bear the name of Dionysios the Areopagite. In them are found expressions such as hyper-ousios (above the essence) etc., expressly for the purpose of stating that God’s being – that God Himself – is above; that He stands above every ontological category that we can use. Why is that? It is because now, the expression of “beyond the essence” is interpreted in the sense that all the categories that we use, and all the names that we use, are taken from our experience of created things; from the reality of created things. Just based on this excerpt, how far apart are Zizoulas and Aquinas or Zizioulas and David Hart? I speculate (only a speculation) that the difference between Aquinas and Palamas is that the former is speaking the language of metaphysics and the latter is attempting to verbalize hesychastic experience. Is that plausible? The distinction between the West and East here seems much to simplistic to me. Denys, for instance, does not absolutely negate all of God. There is a very distinct cataphatic element to his writings. His view is that cataphatic pronouncements are nothing more than “divine names,” not truly representing God, who is not a being, but God as he appears in a creation that reflects his nature. Aquinas reads him along these lines and what follows are his views on the analogia entis and that predication of God must be by analogy. These views are much clearer when one understands the traditional Greek view that being and intellection are coextensive and coterminous. If it can be thought, it exists; if it exists, it can be thought. This is an idea that virtually all Greek philosophers in the Platonic tradition, most of the fathers, and most scholastics all share. God, however, is not a being because he is infinite. To subject something to thought is to treat it as a being and thereby finite because human thought can only grasp finite things. This is the problem that Hart points out. Virtually all of our problems with divine simplicity come from the impossibility of thinking God. The solution of the East and the West on this matter is to treat cataphatic pronouncements as necessary but flawed and apophatic ones as a necessary corrective. The difference between the East and the West, I think, is one of grammar (divine names vs. analogy) and of emphasis. Nonetheless, both sides are working from the same set of common assumptions and yield answers that are more or less consistent with these assumptions. I don’t know Zizioulas enough to comment, but God as “beyond being” and “being itself” are understood in different ways. To properly employ their usage, however, one has to understand Greek ontology. (For a more thorough account than I can produce here, see the first chapter of Eric Perl’s book on Denys, available here http://www.sunypress.edu/pdf/61447.pdf ) For the Greeks, being and thought are coterminous and coextensive. They indwell one another. (Hart, too, makes this clear). To be “beyond being” is to not be part of beings as they are finitely construed and to be beyond intellection. To be “being itself” means to be the infinite source of being, but not part of it. (Hart, too, makes similar claims.) Zizioulas, at least as he is quoted above, seems to acknowledge this. We cannot know the infinite nature of God because we cannot subject it to human thought. Instead, we can only know it through the creation. For Denys, this means that any predication of God is only a “divine name,” but not a proper description of the essence of God itself, which is ultimately knowable. For Aquinas, we can only speak of God analogically, but we cannot speak properly of the divine essence. These two views are very close. The other half of this is the apophaticism. In order to avoid turning our conceptions of God into idols and in order to avoid improperly thinking about God as an object of intellection, these names must be negated. The result of this is not simply a negation to get closer to what God is, but to still the mind, which when quieted can finally meet God not in an absolute negation of nothingness, but in a superabundance of presence. Indeed, this account is perfectly consistent with Orthodox and much of Catholic monastic practice. It is also in line with the Cappadocians. In fact, Denys borrows much from Gregory of Nyssa, who wrote about the ascent to God as an eternal process “from glory to glory,” one in which we can never know God in his essence as he knows Himself, but as only a finite creature can ever know God. Denys never denies that we can talk about God’s nature like the Cappadocians do, and I’m not sure that Palamas does either–although I don’t know him as well. Zizioulas, for his part, doesn’t seem to be pitting one against the other in that quotation; in fact, he seems to be treating them as both authorities in order to describe the very difficult balancing act of talking about God in Christianity. There are two things this balancing act tries to avoid. The first is an aphophaticism that does not let us talk about God. In such a system we cannot know God in any respect and the consequence is that God becomes distant with our only knowledge of him being through prior revelations. This is one reason why nominalism is so dangerous; it severes the Creator from the creation to an extreme extent. The second is to avoid an extreme cataphaticism. If God can be subsumed fully under the categories of thought, God is then subjected to human powers. This is an onto-theology that allows humans to fully objectify and manipulate the Creator. This is the problem with a lot of Early Modern thought and Jean-Luc Marion has written extensively about this subject. The only alternative to these extremes is balancing apophaticism with cataphaticism; and this can only be accomplished through an extremely rigorous practice of asceticism and purification. This was the practice of both the Platonists and Christians, philosophers and monastics. JMA, thank you for your illuminating and instructive comments! They are very helpful. Given what Hart has written, I would guess that he too would agree that the “God is beyond being” and “God is being” formulations are functionally very close. Hence he writes: “He may be said to be ‘beyond being,’ if by “being” one means the totality of finite things, but also may be called ‘being itself,’ in that he is the inexhaustible source of all reality, the absolute upon which the contingent is always utterly dependent, the unity underlying all things.” Do you agree? Yes, those uses are very close. The difference is that in the first, “beyond being,” being is predicated univocally of all finite things. In relation to God, as “Being itself,” it is predicated analogously in such a way that names God as the source of being, but not a being. The issue of necessity is not a problem in a Greek context. In Greek, anagke, necessity, implies a heteronomous relationship, a compulsion from without. If God’s will and essence are identical, yes, he had to create because it is in accordance with his nature, but such was not the product of necessity because that decision comes from within God, not from without. It was a “free” choice, but that choice was in accordance with who and what God is. The problem with this debate is how one understands what it means to do something “freely.” Since the emergence of a strong voluntarism in the late Middle Ages, “free” came to mean the choice of a will in the vacuum. That is not the ancient view, which is that to act freely is to act in accordance with one’s nature. In other words, what is at issue is not God’s freedom, but freedom as such, and a late scholastic view is too often privileged in these discussions. This should not be surprising, though, because it is the view of freedom that now pervades our grammars and our so-called secular discourses. I would also like to make a general point about Bradshaw’s book, Bradshaw represents the Neo-Palamite branch of EO, one which Hart and most other Orthodox academics take issue with. (In fact, there has been a long-standing rivalry between Hart and Bradshaw, one that began no later than a conference on Orthodox readings of Augustine some years ago at Fordham.) This view is recent (c. 1950s) and it represents a contentious and recent interpretation of Palamas, not necessarily Palamas himself. To avoid going into too much detail, they tend to apply a scholastic “real distinction” between God’s essences and energies. This view is problematic because it treats energies like a substance, which they are definitely not. In consequence, Neo-Palamites like to talk about “Absolute Divine Simplicity” as opposed to “Divine Simplicity.” This, too, is a new distinction. The former term does not exist until very recently. Rather, it is imposed on the texts that the Neo-Palamites exegete. Now, none of this means that they are wrong, but it is meant to show that their views are the ones that are contentious and are very recent historically. One other thing on simplicity and necessity: I think Hart is right to argue that this problem stems from an overly anthropomorphic view of God. God does not choose amongst a finite set of options within space and time as a finite agent. God “chooses” from eternity. To protest that God’s eternal creative act is “necessary” because it follows from his nature–which, again, is not necessity in the Greek sense–and rejecting this weak form of “necessity” as a consequence, introduces a number of problems. It leads to the conclusion, for instance, that God does not always have to will the good because such would be a willing of necessity; and that God must then be “free” to will evil, even though He Himself is not evil. In effect, this severs God’s will from his nature–and this is exactly what happened in late Western scholasticism. The alternative is to think that God is free because his eternal act of creation is in accordance with his nature and that this act of creating lacks external an external impetus. JMA, your comment on Palamism reminded me of an article by David Coffey: “The Palamite Doctrine of God.” Coffey argues that the Palamite distinction should be understood as akin to a “formal distinction,” as opposed to either a real or notional distinction. Please take a look at Coffey’s piece and tell me what you think. I was, BTW, at the Fordham conference and remember some of the fireworks between Hart and Bradshaw. Hart can be excessively caustic with those with whom he disagrees, unfortunately. As I recall, Bradshaw handled it gracefully. My impression is that Thomists have not accepted his reading of Aquinas and his claim that divine simplicity logically leads to the conclusion that God must create the world. Do you agree? I will certainly take a look at it over the next day or two and write back. As I wrote, I have little knowledge of Palamas, so I am hesitant to comment. My knowledge of Denys is a bit better, though by no means at the level of an expert, and I was just trying to address what seemed to me to be a reading that was a bit off, one that treated him as an extreme advocate of apophaticism. I do recall Hart’s opinion on Palamas, however. He seems to think that Palamas does not have a consistent doctrine on the distinction between Essence and Energies, and that trying to figure it out from his writings is an impossible endeavor. He also does not think that one can posit a “real distinction” between the Essence and Energies of God. As for your question regarding Thomism and God’s creative power, I’m not entirely sure of the answer. I’ll have to look into that.